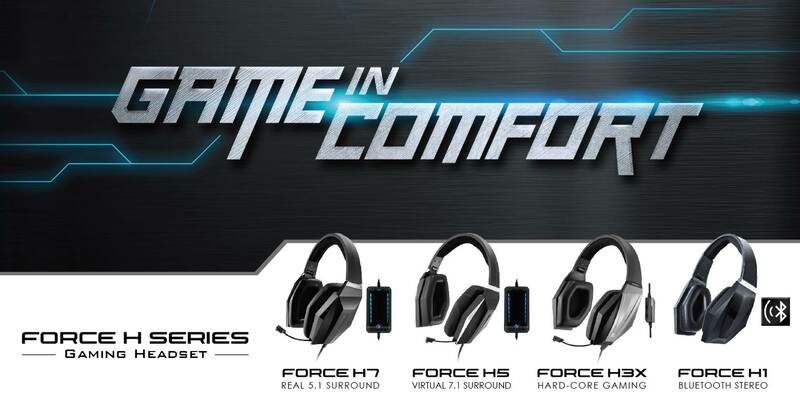 Taipei, Taiwan, 26 September, 2014 — GIGABYTE, the world’s leading premium hardware brand, introduces its latest gaming headset line, the FORCE H Series. Crafted for music lovers and audio-savvy gamers having uncompromising enthusiasm for music and gaming audio, the new FORCE H Series consist of five headsets that are all packed with unique ergonomic design and extraordinary audio engineering, delivering the optimized multi-dimensional comfort in sound, wear and control. Its sleek profile incorporates rigid, directional angles with asymmetrically polygonal patterns that beautifully stretch throughout the entire body, screaming a loud racing outlook that prepares gamers to fire on all cylinders for the upcoming battles.